Kia ora and haere mai, welcome to the eleventh instalment of 9mm for 2018, and the 183rd overall edition of our long-running author interview series! Today I'm very pleased to welcome award-winning New York crime writer Julia Dahl to Crime Watch. Dahl is a crime writer in multiple senses of the word; along with being the author of the Rebekah Roberts mystery series, Julia is a longtime journalist. 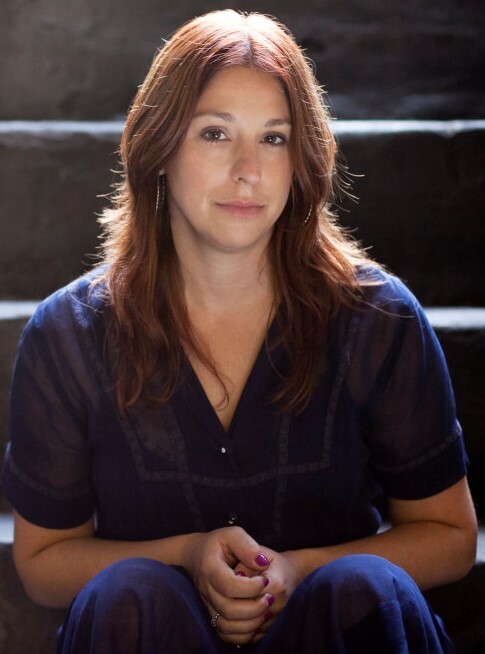 She has been a freelance reporter for the New York Post, an associate features editor at Marie Claire, and the deputy managing editor of The Crime Report. She now writes about crime and criminal justice for CBSNews.com. She's also been published in Salon, O, The Oprah Magazine, the Boston Globe, and Seventeen, among others. Julia says she's always been a 'story chaser', and in 2014 her first novel, INVISIBLE CITY, was published. Introducing Rebekah Roberts, a New York tabloid reporter who investigates the murder of an Hasidic Jewish woman from Brooklyn - a case that hits close to home for Roberts and causes her to dig further into her own heritage - that book went on to be shortlisted for an Edgar Award, and win the Barry, Shamus, and Macavity Awards for Best First Novel. 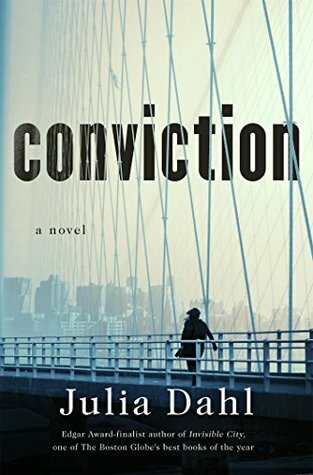 It was followed by RUN YOU DOWN in 2015, and then late last month the third in the series, CONVICTION, hit the shelves. In CONVICTION, Roberts investigates a racially charged killing from 22 years before, from a time when riots had broken out between black and Jewish neighbours in Crown Heights. New York Magazine calls it "a murder mystery for our tumultuous times". But for now, Julia Dahl becomes the latest author to stare down the barrel of 9mm. Is it cheating to say that I love Tana French’s Murder Squad? STARRING SALLY J FREEDMAN AS HERSELF by Judy Blume. It’s about a Jewish pre-teen girl in post-WWII America who dreams of being a movie star. I think I read it three times in a single month one summer. I saw myself in Sally. Like me (and maybe lots of kids) Sally felt that her life should be playing out on a bigger stage than the suburban world where she lived. And like me, she made up wild stories about the people around her. As with so many of Blume’s books, STARRING SALLY J FREEDMAN AS HERSELF introduced me to big ideas about injustice and mortality, but felt so familiar that reading it was a tremendous comfort and inspiration. I’ve been a reporter for nearly 20 years so I’ve written countless articles. In my 20s, I wrote a novel that was never published – which is good, because it’s pretty terrible. After I finished that, I wrote half of another novel, then a screenplay, then gave up on fiction for a few years. I’m very thankful I eventually came back! I have a toddler, so I spend a lot of time in playgrounds and parks near my house. I’m also sort of a closet foodie. Whenever possible, my husband and I find a great restaurant and spend too much money. I love to swim, too, and when the weather warms up you’ll find me in water. I’m not picky: public pools, swimming holes, lakes, the ocean – if it’s wet, I want in! I’m sort of ashamed to say that I haven’t been to my hometown – Fresno, California – in a decade, and I haven’t lived there in 20 years. In my adopted hometown of New York City, however, I recommend getting out of Manhattan. Take the subway to Grand Army Plaza in Brooklyn and explore Prospect Park, then pick one of the half-dozen neighborhoods around the park (Park Slope, Windsor Terrace, Prospect Heights, Crown Heights, Ditmas Park…) and start walking. I promise you’ll have a great day. I have a lifelong crush on Claire Danes. I was in high school when My So-Called Life aired and I think I wept at the end of every episode – it felt true in a way I’d never experienced with television. Then, Claire (we’re on a first-name basis in my head) was a year behind me at Yale and we had a course together. It was a lecture course and we never spoke, but I’ve always fantasized that we’ll become friends someday – maybe when she plays me in a biopic! This is like asking which of your children do you like best! I love them all for different reasons. I loved getting to know Rebekah and creating my alternate version of New York City in INVISIBLE CITY, and I loved that I got to tell Aviva’s story in RUN YOU DOWN. What I love about CONVICTION is that i was able to live inside the minds of several people in addition to Rebekah: a teenager , a shady landlord, a killer, a crack addict. I’m sort of hooked on getting to do multiple points of view now, and that’s how I’m writing the fourth book in the series. I was picking up dry cleaning when my agent called to say my US publisher had just offered to buy my manuscript in a two-book deal. I was in shock as I walked the two blocks home, then when I got inside and told my husband I started screaming and jumping up and down like a crazy person. I drank a lot of champagne that week. While I was pregnant, I went on a mini book tour to promote my second novel, RUN YOU DOWN. Attendance was good at my first event in Arizona, but when I got to the San Diego bookstore where I was supposed to read and sign, there were four people there. And two were my cousins. It was humbling. Thank you Julia. We appreciate you chatting to Crime Watch. You can learn more about Julia, her journalism, and her Rebekah Roberts novels at her website.